Everybody knows that Santa gives presents to nice children, but who visits the naughty ones? After your sister does something bad, Berta the evil Christmas spirit and her mean elves take her away. The only way to save her is by performing good deeds and helping make the holiday season more cheerful for others. With the help of Jack Frost, can you save the holidays before it's too late? 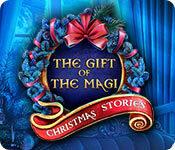 Christmas Stories: The Gift of the Magi is rated 4.0 out of 5 by 19. Rated 5 out of 5 by bishky from Brings back the MAGIC of the season I will play this game many, many times. It is that well done! Beautifully drawn, lots of fun games, sound is wonderful, and the theme of the story line is superb. This is a feel good game and one that you can play with your children/grandchildren and really enjoy. To learn something from this game is an extra bonus. Merry Christmas to all and may there be Peace on earth!! Rated 4 out of 5 by AudreyHorne from Magical game, but very short! The game has magical illustrations and graphics, that helped me relax and take my mind away from everyday life. But alas, the game is very short! Because of it, I'm not sure it's worth the money. Rated 3 out of 5 by BibiBuggs from Disappointed I really wanted to like this game and was also expecting the topic to be what the title alluded to -- the magi. I thought that one would go back into history and that the story would eventually take place in Biblical times with the magi. It ended up being a modern story of magic and fighting evil. Once I accepted the storyline as it was, I still was not enthralled with the game. Rather than enjoy it, I aimed to get get through it. 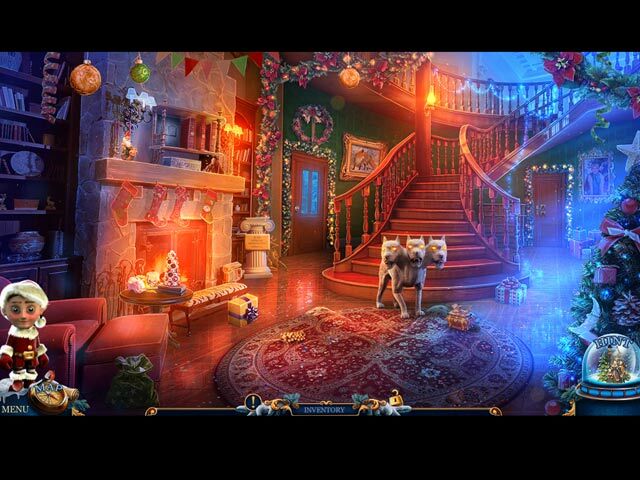 This is classified as HO but I'll warn people that there were few hidden object scenes. It contained primarily mini-games which I unfortunately found to be very frustrating. I did more skipping than actual playing of them. In some, the directions were not the most explicit. In short, it just wasn't up to par along other HOs games I have enjoyed. Rather than being classified as HO I felt it was more along the lines of adventure but that's just my own personal opinion. I cannot recommend this if a person is looking for more HO scenes. The storyline was average. Rated 3 out of 5 by ninja226 from Least impressive of the series This series gets high marks from devotees, so my expectations were very high, and as a result, did not make the mark. A nice story for the holidays with a nice, neat conclusion that ties beginning to end. The artwork is about the same as in the previous installments, but maybe not as lavish and ornate as the 1st few in the series. The mini puzzles/games are rather easy, which is OK with me as the 1st installment in the series was very challenging. I found this game rather short, but I did not purchase the CE as I did for the others. Do the demo to see if it's your cup of tea. Rated 3 out of 5 by lady_ace_1956 from Christmas Stories: The gift of the Magi The garland was really confussion. There was no where to put it. The Hint was no help at all. You click on the hint , it takes you the garland.. Nothing else. I liked it until got to that point. Rated 3 out of 5 by greenshade from Played the SE.. aka "shortest edition" Where’s the Christmas magic? Certainly nowhere to be found in this game. While this series is one of the most anticipated of the year, I was shocked to see how far the mighty had fallen. In the first place this had to be the shortest game in Christmas Stories history! We are having to do good deeds for people in normal scenes, in normal habitats .. and don’t we do that in almost all games, anyway? Most noticeable by me was the lack of interactivity in all the scenes except where there was something to do. (remember when you clicked on things and almost everything moved in some way?) And there wasn’t much to do in each scene anyway. And where have all the evil elves gone? There is ONE and only one evil elf which we rarely even interact with but is a slight hindrance. We have one reformed elf who is our helper but the tasks he performs seems clunky and didn’t make me smile at all. I really didn’t mind all the easy mini games and HOs.. I expect them in this series. So why did I buy this game? For one reason only… a super Sunday sale and I needed to fill up my punch card. Elephant, take note… I have a feeling it was more than me who was disappointed. Rated 2 out of 5 by FellowDeveloper from If you haven't bought it, don't bother. 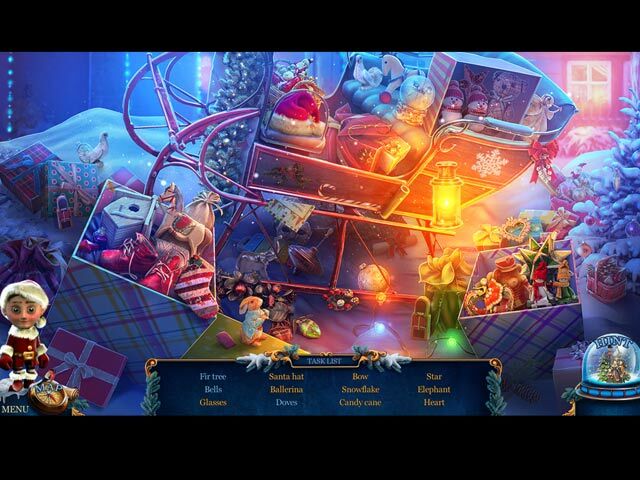 If you haven’t already bought “Christmas Stories, Gift of the Magi” by Elephant Games, I recommend against it. The first thing is that some of the mini-games were completely trivial, e.g., o a connect-the-dots that went (in numerical order) around an image you could already see, and o jigsaw puzzles where all you had to do was click on the pieces and they moved into place on their own. On the other hand, two of the mini-games took such a tediously long time that I just lost interest and skipped them, not because they were hard, but because they were boring. And the second thing is that the game took only a few hours. I completed it the day after I bought it, and I had plenty of others things that had to be done in the meantime. Finally, they fell down on their in-house testing. One item in inventory is labeled “pop_inv_new_button.” When I see something like this, it immediately takes me out of the game and into my head. I suspect Elephant Games had to rush this one into production. Rated 2 out of 5 by knucklebones from Where's the magic in The Magi? I've loved all of the Christmas Stories, but this one descended very rapidly into a back and forth, Find an item... Trot to another location...Use the item...Find another item...Trot to somewhere else. Very simple problem-solving, and simple puzzles too. 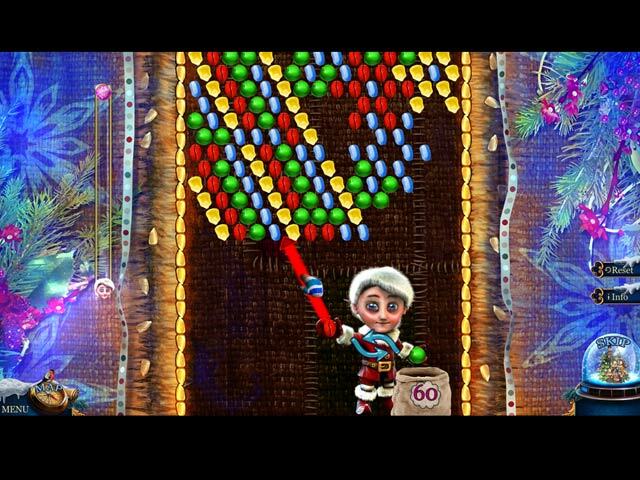 It became extremely tedious very quickly, with no connection with Christmas other than that everything's frozen, and Jack Frost pops up at some point. Sorry, but I was expecting at least a vague connection with both the joys and celebrations of Christmas and with the real Gift of the Magi. Rated 1 out of 5 by pomconfi from Worst than ever Surprise surprise. Santa is coming to town. WOW! I haven't seen worst game yet. well... now I actually did. I love Christmas stories, I have all collection in Collector Edition. The first ones were absolutely perfect: challenging, super story line... perfect... blow your Christmas spirit away :-). This one... I have no words. I bought it without trying. Big big regret. I stopped playing in 20 min. First. story line is.. there's no actually a story line... some repeated story about frozen time and fixing everything what went wrong, from the first game Christmas Carol. But doesn't work this time. Challenge level... no level at all. sort of for kids. Even for beginner would be easy to play. Graphics... taken from previous games. what's new? nothing. and on top EXTREMELY BORING! Sad and bored to tears... wanted to buy myself a present. wasted money... feels frustrated and specially for Christmas. Bravo. here you go, developers. More games like this and you are definitely will go out of business after couple of years of total fiasco in all games you are producing, Elephant Games. I stopped buying your games without checking first from 2015. Now I won't even check it. waste of time. I DON'T RECOMMEND THIS GAME Like all the new ones produced by this developer.